Yesterday’s post Eat To Live, It Starts you may remember that I had found a great recipe for kale from Smitten Kitchen, well my modified recipe with no oil and no salt came out great. Loosely following the baked kale chips recipe from Smitten Kitchen I used no oil or salt in my version. 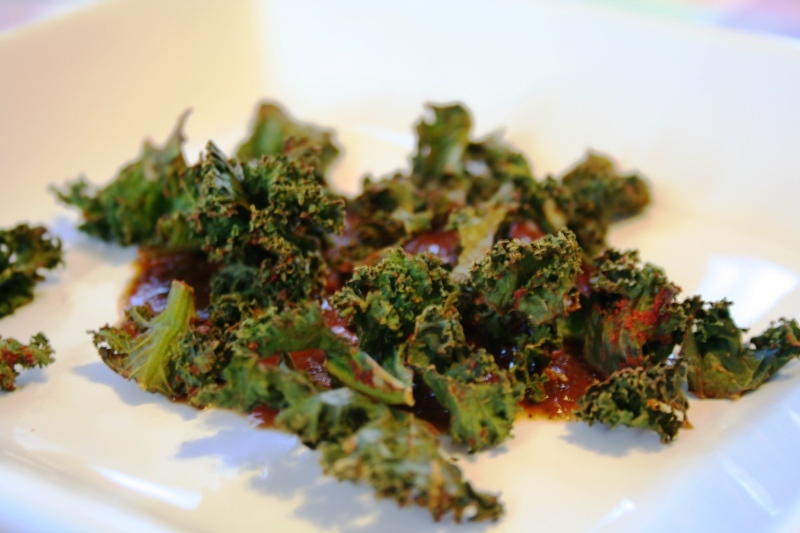 Not being able to do a side-by-side comparison, but our kale chips were crispy, tasty, and were great both on some of the Fire Roasted Tomato Dressing and as a garnish on the salad. 1. Heat oven to 350° F. In a large bowl, combine the garlic with the vegetable stock and toss with the kale in a large bowl. Sprinkle in the herbs and spices and toss well to coat evenly. 2. 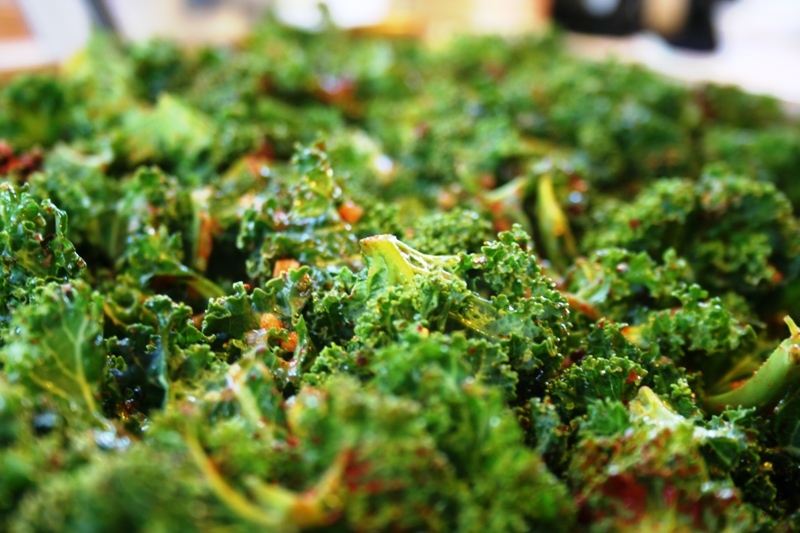 Spread the seasoned kale evenly onto a flat sheet pan and roast in the oven for twenty minutes, then turn the kale over and roast another ten minutes. Allow to cool before serving. I have never liked kale. It’s tough and my children don’t like it. But this looks delicious. Would love to try.